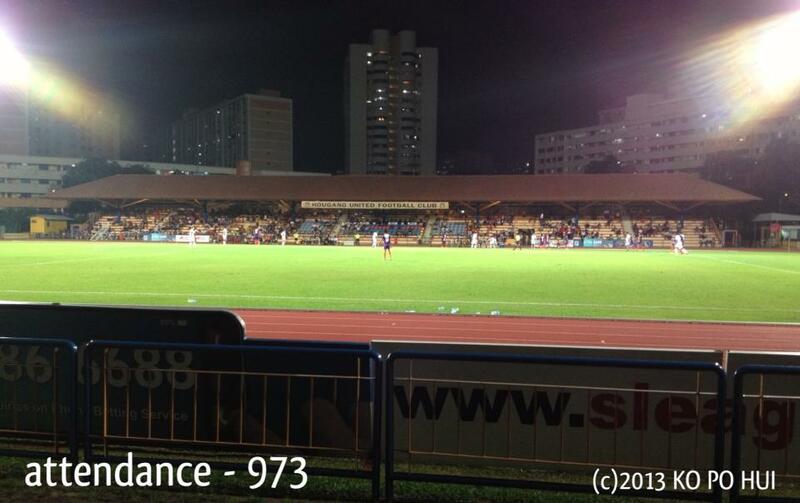 For the past week, I was not able to attend any games due to my shift work and thought it wouldn't be a bad idea to go down to Hougang Stadium for a match after my work in Bishan area. After all, it would be an interesting outing to see the two teams that were in action this evening would able to bounce back from a series of setbacks facing them the past few days with the hosting Hougang United taking on the visiting Balestier Khalsa on a relatively pleasant Tuesday night (so long the Lightning Warning System is not being called into action). The hosting Cheetahs did some reshuffling in their coaching setup that saw their Prime League coach Johana Johari care-taking the head coaching position from Alex Weaver just days ago after the expectations fallen short from the 2011 League Cup runners-up since the start of the season. While the Tigers suffered from a 4-0 mauling last week in the hands of their neighbours from across Braddell Road – Home United at their Toa Payoh lair. 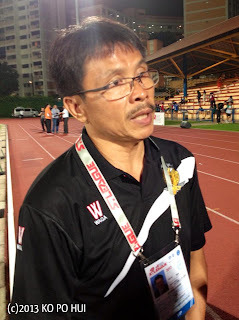 Probably, as what the new caretaking coach explained to the waiting media pack that the players “are still adapting” to his system that he can't blame them for the 3-1 defeat that saw Hougang remained in the eleventh position with five points out of seven games played (W-1, D-2, L-4, as on 9th April 2013). 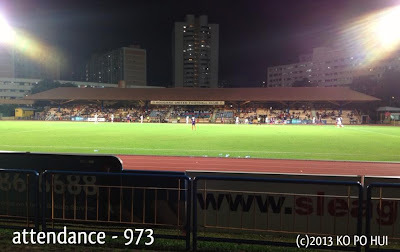 The scoring spree begun in the 20th minute with the white-outfitted visiting side opened the account of the night with a Park Kang-Jin goal that allowed them to hold on till the interval before defence lynchpin Gabriel Obadin headed to finish from close range off a Tengku Mushadad's from the right in the 47th minute to double the lead for the Tigers. Park scored his second of the evening with a well-connected header from a Qiu Li's corner in the 79th minute to pull the sides further apart. The scores stayed remain one-sided till the 81st minute and saw a Liam Shotton's header reduced the deficit, yet not enough to haul the Cheetahs from sliding further. “We lacked focus in the match, but I can't blame the players as they are still adapting and I should take responsibility of the result that I'm disappointed with myself for unable to repay the faith shown by the management on me.” summarized coach Johana in his senior coaching debut. 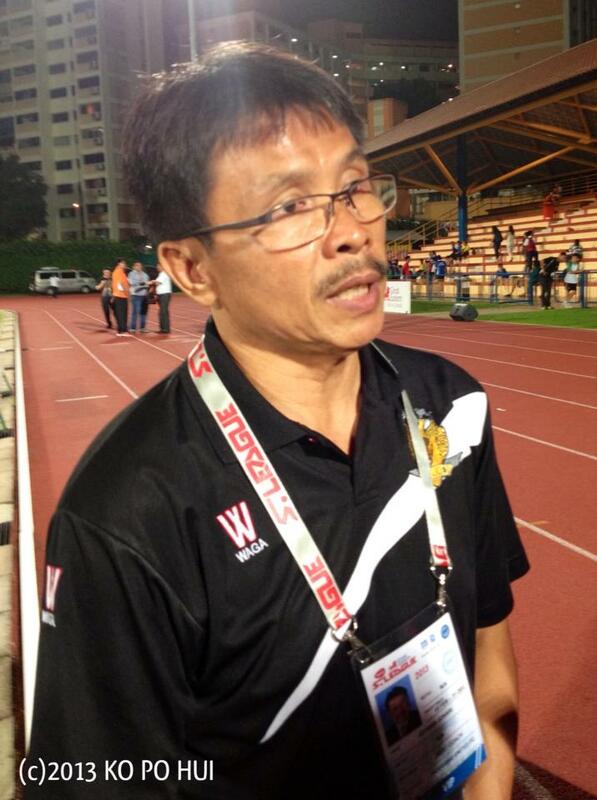 “Coming back from a 4-0 loss (to Home United) last week, what else can we say?” asked Balestier assistant coach Kevin Wee after the match. “Full credit to the boys for the win and I can't singled out one player who stood out tonight, as it was a collective effort tonight.” he added.